Our farm got some new residents last week! 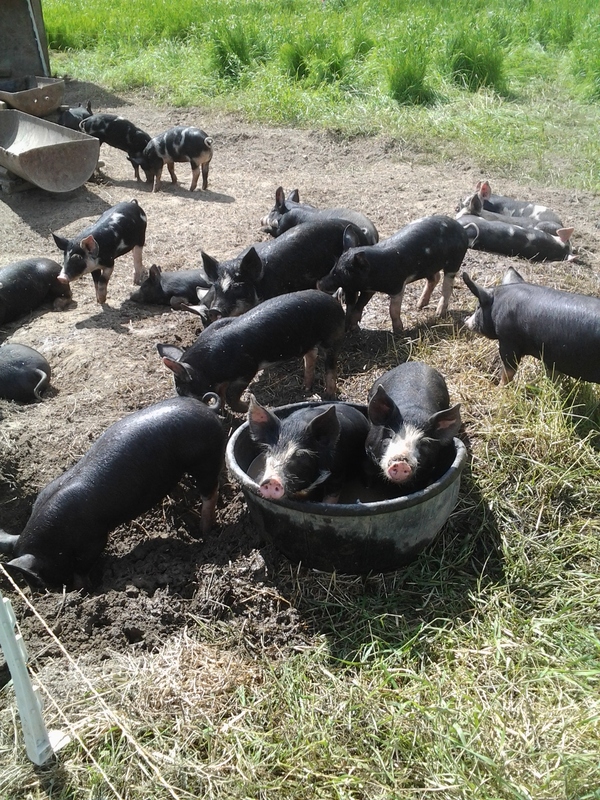 Our 20 piglets joined us last week and have been settling in nicely. For the first week, they had a smaller run as they got used to their new home, and slowly adjusted to us, their farmer friends. 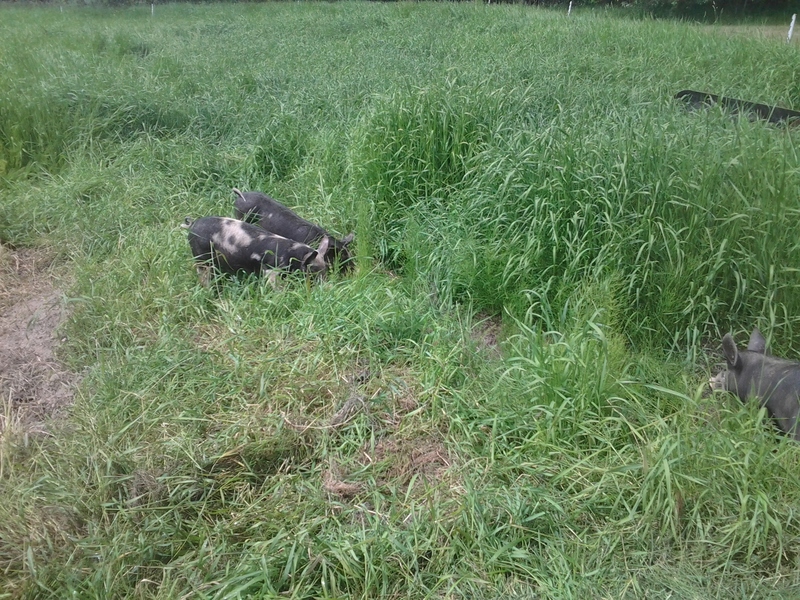 But being adjusted to their home and the electric fence, we were able to expand their range to encompass a large swath of nearly 5 foot tall grasses and weeds. Although initially hesitant, it didn’t take them long to feel bold enough to explore, and soon the whole group practically disappeared into the tall grasses, merrily chomping away and particularly seeking out their preferred treat, horsetail. This year’s batch of pigs are a Berkshire/Tamworth cross, but are more heavily weighted in the Berkshire than Tamworth. We have been wanting to try this breed out for a while, as it is a favourite of many chefs and is know for its exceptional flavour, it’s large loin-eye areas and thorough marbling of the meat.